Have you ever noticed that kids can get dirty even when sitting still? It seems like they can collect dirt, grime and general ick without doing anything. With kids, it helps to be prepared for any situation. safeHands is a must have for parents with kids. 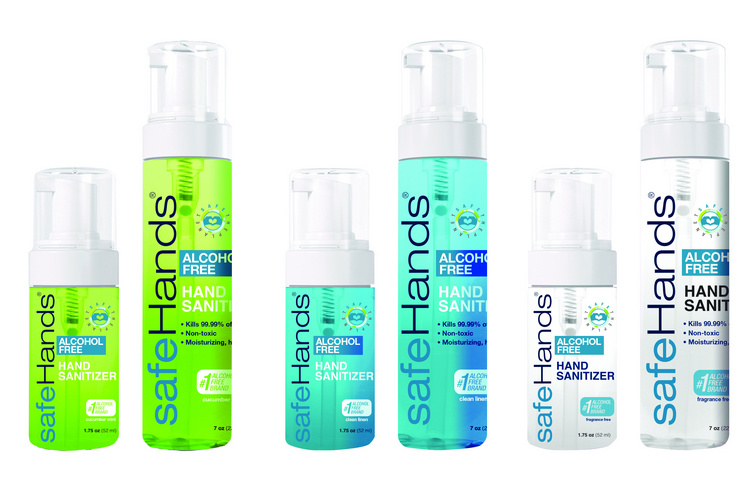 safeHands is the world's first doctor-invented alcohol-free line of hand sanitizers. Different from other brands, safeHands is non-toxic, soothing and works with the skin's natural oils to increase germ killing with consecutive uses. Without the alcohol, parents feel better about using this product for their families. As a mom, safeHands is perfect for my purse or backpack. The small container with a secure cap helps to prevent spillage. The foaming sanitizer gets rid of the grime before kids sit down to eat. A single pump of safeHands can clean up those dirty hands quickly. Another great aspect to this product is the refreshing scents. The cucumber mint and the clean linen scents are crisp yet not overpowering. There is nothing worse than the smell of cleanser overpowering your hands when eating. safeHands works well for men, women and children. Next time your family is heading out for a day of fun, grab a container of safeHands. Enjoy a day of fun without the germs.